Lovely Medieval costume pattern. Includes shoes, pantaloons, slip, gown and headpiece. 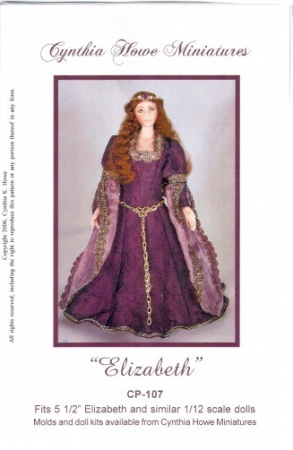 Fits Elizabeth and other 5 1/2" dolls. Complete, step by step instructions, full size pattern pieces, materials list, and color photograph.